It is estimated that a homeless person walks an average 3 miles a day. Take a walk in their shoes. 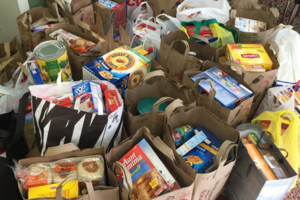 A fundraising campaign for Catholic Charities of Fairfield County, inc. Provides 2 weeks of breakfast to one individual. Provides 1 month of breakfast to 1 individual. The average homeless person walks three to five miles a day. We ask that you join us in raising funds to help the homeless by taking a walk in their shoes. 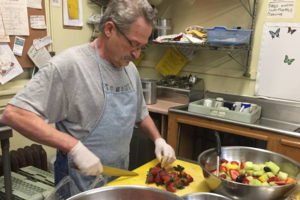 Morning Glory Breakfast Program serves a hot and healthy meal to the hungry and homeless of the Danbury area. 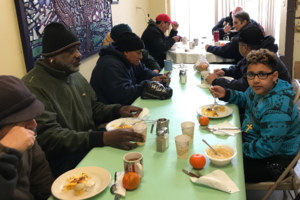 Operating out of 15 Spring Street in Danbury, the Program is conveniently located near the homeless shelters, so as to lessen the burden on clients. 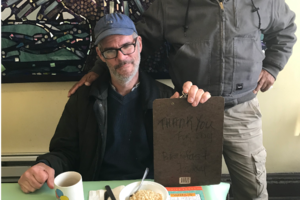 We provide a hot breakfast in a safe and warm environment to the neediest in the area, and we work in collaboration with other agencies to provide education and referrals to clients in order to help end their homelessness. Currently, a multitude of agencies and programs use Morning Glory as a location to reach out to the hardest-to-reach populations. Since opening in October 2007, our program has served over 300,000 meals. There is no cost associated with meals or engagement with agencies; guests are only asked to sign in when they arrive. All participation in services with visiting agencies and programs is voluntary. Join us on Saturday, June 1, 2019 for the 6th Annual Morning Glory Breakfast Program Walk-a-Thon. The event takes place at Meckauer Park located at 16 Shelter Rock Road in Bethel, CT starting at 9:30 A.M. All proceeds benefit the Northern Fairfield County Programs of Catholic Charities. Be one of the first walker to register and attend, and you will receive a Morning Glory backpack with freebies and coupons to area businesses. Thank you for your support! 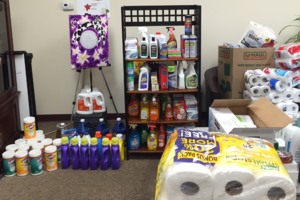 Catholic Charities of Fairfield County, inc.